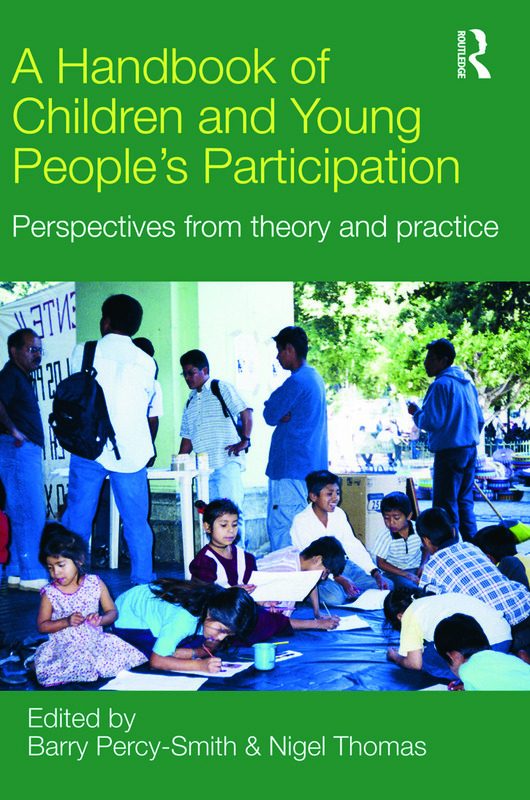 A Handbook of Children and Young People's Participation brings together key thinkers and practitioners from diverse contexts across the globe to provide an authoritative overview of contemporary theory and practice around children’s participation. Promoting the participation of children and young people – in decision-making and policy development, and as active contributors to everyday family and community life – has become a central part of policy and programme initiatives in both majority and minority worlds. This book presents the most useful recent work in children’s participation as a resource for academics, students and practitioners in childhood studies, children’s rights and welfare, child and family social work, youth and community work, governance, aid and development programmes. The book introduces key concepts and debates, and presents a rich collection of accounts of the diverse ways in which children’s participation is understood and enacted around the world, interspersed with reflective commentaries from adults and young people. It concludes with a number of substantial theoretical contributions that aim to take forward our understanding of children’s participation. The emphasis throughout the text is on learning from the complexity of children’s participation in practice to improve our theoretical understanding, and on using those theoretical insights to challenge practice, with the aim of realising children’s rights and citizenship more fully. Disabled children and participation in the UK: Reality or rhetoric?